Powerful port management functions, including port mirroring, speed limit, trunk, etc. 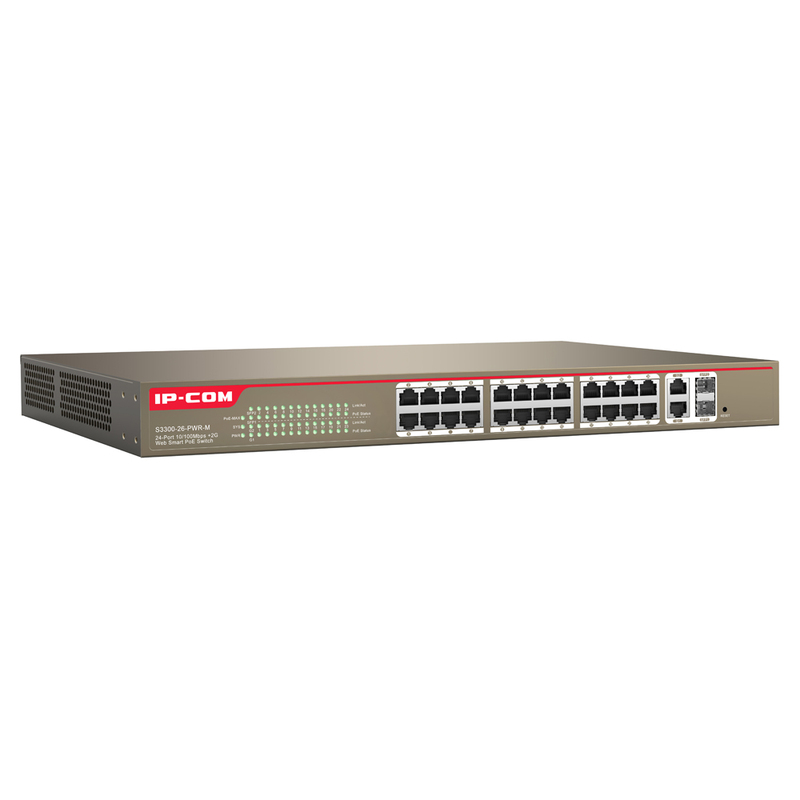 The S3300-26-PWR-M is a 24-Port 10/100Mbps + 2-Port Gigabit TP/SFP Combo Web Smart PoE Switch developed by IP-COM. It provides 24 10/100Base-TX RJ45 ports, 2 10/100/1000Base-T RJ45 ports and 2 1000Base-X SFP combos. Ports 1-24 support IEEE 802.3af PoE (15.4W) and IEEE 802.3at PoE+ (30W) powering. The whole PoE output is 370W. By using Cat 5 twisted pair, the device can provide data and power for APs, IP cameras, IP phones, and other PoE devices. Moreover, by using Cat 5e Ethernet and enabling extend mode, the transmission distance of data and power can be as long as 250 meters. In addition, it supports QVLAN, link aggregation, QoS, MAC binding, etc, which saves the cost, time and energy of network deployment to a great extent. ● 24 10/100Base-TX RJ45 ports support PoE power supply. The total power output is up to 370W and the maximum output of a single port is 40W. ● Powerful port management functions, including port mirroring, speed limit, trunk, etc. 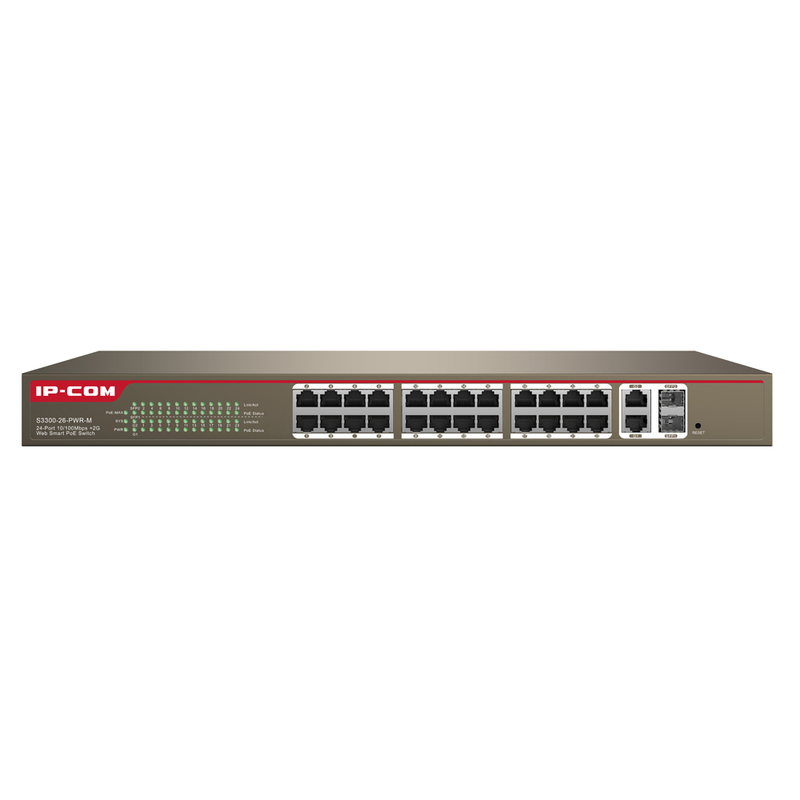 *PoE switches and injectors can be used to power PoE compliant devices up to the total power output supported for the LAN port and the switch or injector as a whole. Users must ensure that their connected device keeps within the maximum PoE power permitted per LAN port of the switch or injector and also the total power for all connected devices is less than the maximum total PoE power that the switch or injector can provide. 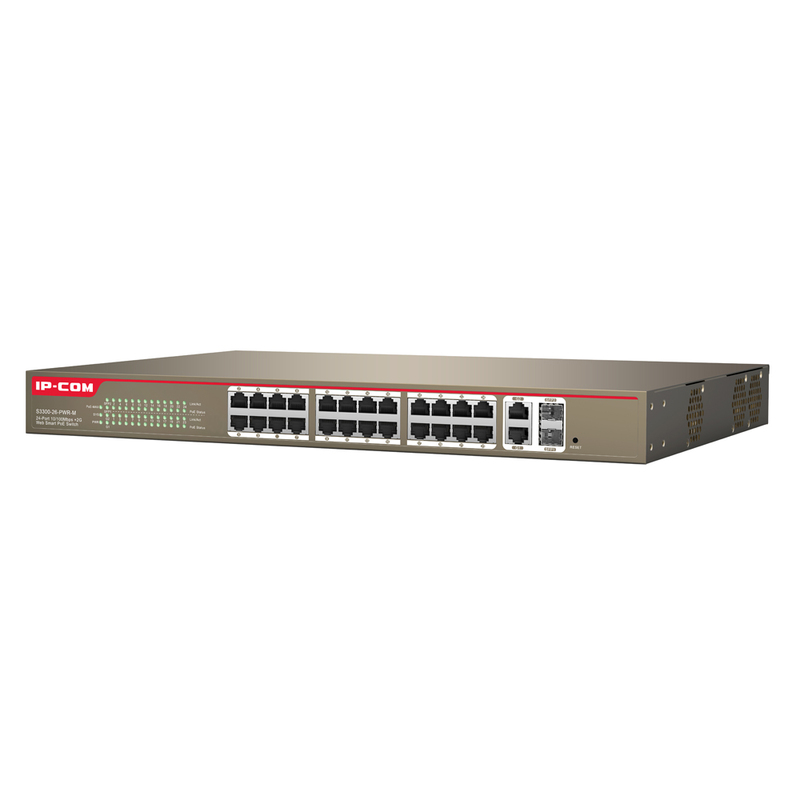 For example, if the PoE switch is maximum 30W per port (so it conforms to 802.11at) but the maximum PoE power for the switch is 60W and the access point you are connecting is 18W maximum then, even if the switch has 8 PoE LAN ports, you can still only power a maximum of three access points. Damage caused to the switch or injector by over loading the power budget is NOT covered by warranty.